If there is a profile of homes that are the most desirable... this is it. Quality, Custom Construction, Single Story, 4 Bedroom, Extra office/shop/maids or guest quarters, Oversized Three Car Garage, Gourmet Kitchen, Masonry Fireplaces, 1.09 Acre of flat useable land, Excellent RV Storage... and of course ... location... location... location! 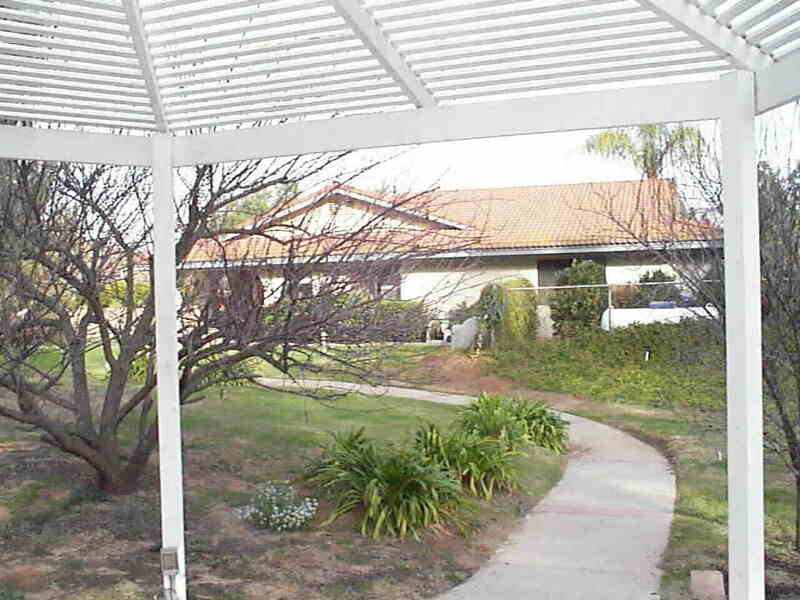 The photo above on the left is the view from the covered patio to the Shaded West yard with privacy... romantic Gazebo... "Family Fruit"... bird "Bathing Beauties"... and the quality so hard to find today... Solitude. 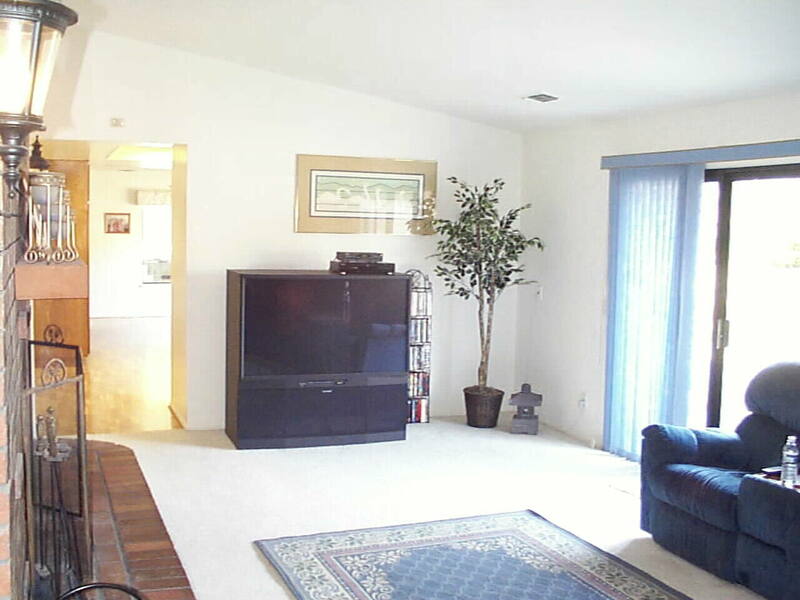 All Flat and useable... the 1.09 Acre lot has drive access to the East Yard... and RV Storage for the largest of toys. If you look closely in the background of the photo above on the right... you can see the rear corner of the current owner's motor home. 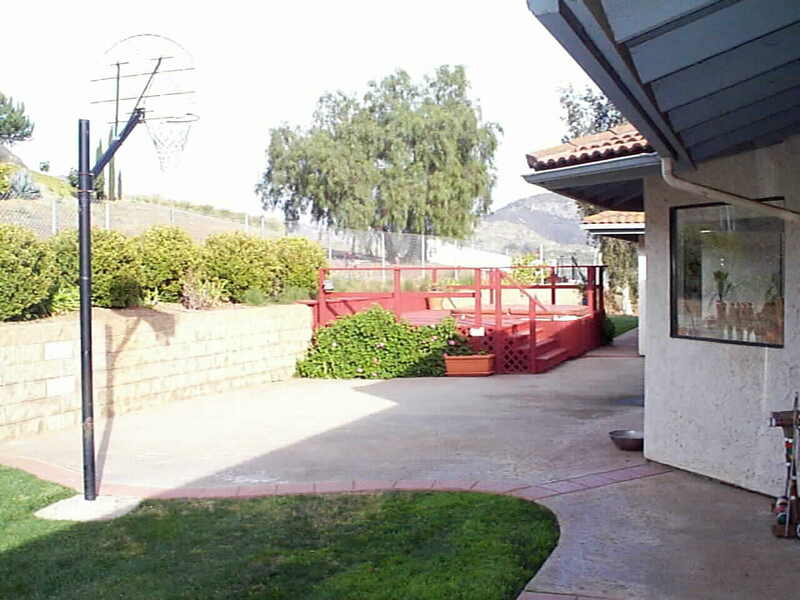 Fenced for pets... half court to practice hoops... and in deck Spa to bubble your cares away... crawling space from the Family Room... and cozy fireplace. But... no need to crawl.. it is secluded and private.. your own little hide away! 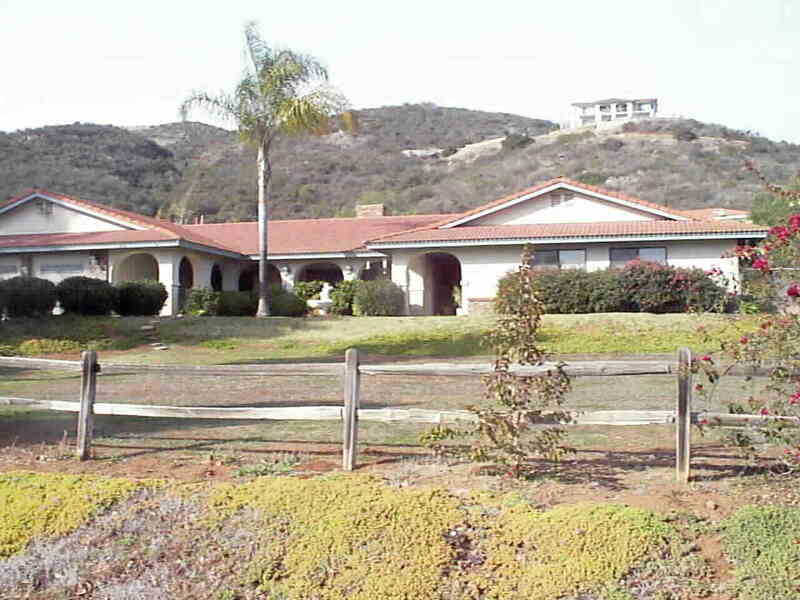 This sprawling "Contemporary Rancher"... is the custom home that tracts never offer. Large rooms and storage everywhere. A formal Dining Room large enough for generations of grand kids... and great grand kids... since you'll never want to leave. True masonry fireplaces... you don't find that in the new Million Dollar upscale tracts! 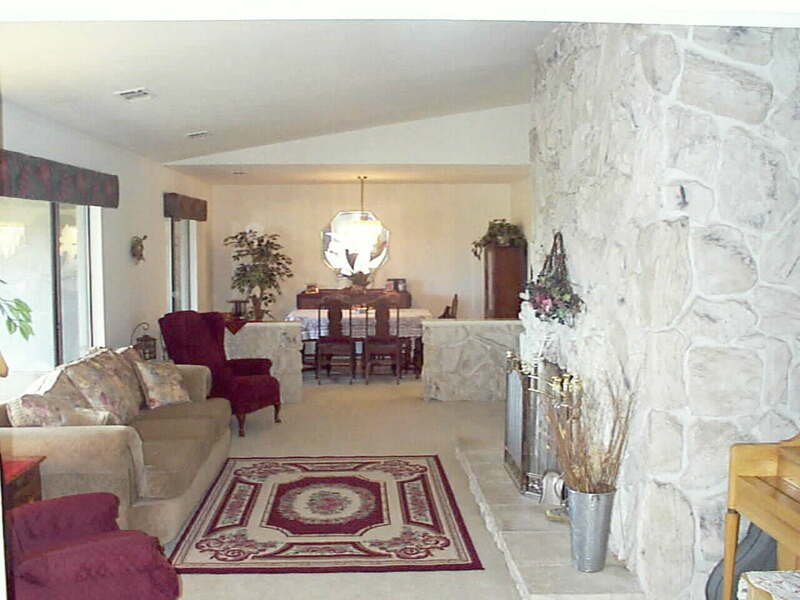 Elegant Stone in the formal space... warm Casual Brick in the play space... zoned and spacious. Windows to all directions... and notice no drapes are pulled. 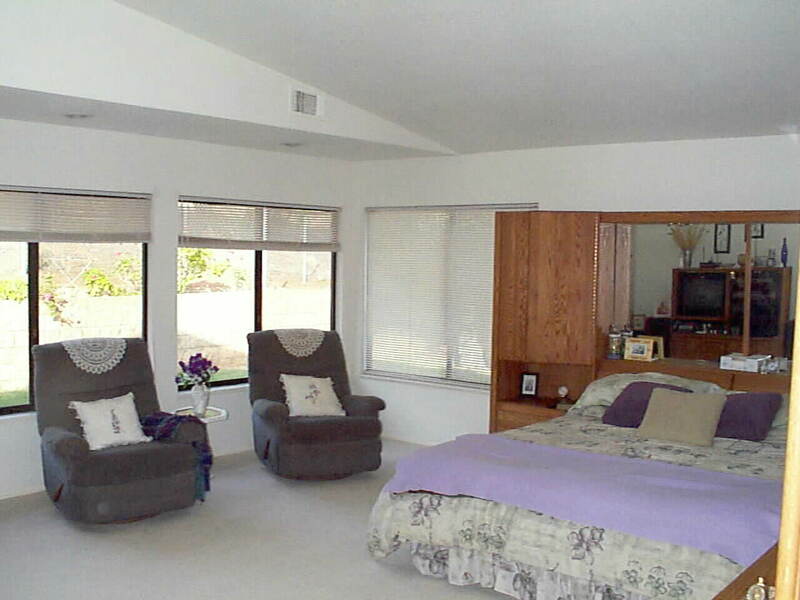 Privacy abounds... you could live with your windows open day and night. The Massive Gourmet Kitchen is a cooks dream... and designed for large parties and children with friends sleeping over. Center Island... Miles of counter space... beautiful cabinets... and tons of them... and even pull down attic storage in the oversized three car garage. These are Huge Rooms. The Master (20' x 17') will accommodate the largest of furniture... with room to spare. Of course.. large closets.. and double vanity master bath with party size garden tub... and matching party size detached shower. Music center in the Master Suite is wired through home for romantic or "surround sound"... or the mood of your choice... maybe you just don't want to miss what's being said on the news... as your running around the house. The Family Room (19' x 13') will accommodate the largest of entertainment centers... is adjacent to snack central... warmed by a beautifully brick faced masonry fireplace... and enjoys sliding door access to the private patio... deck... and spa! 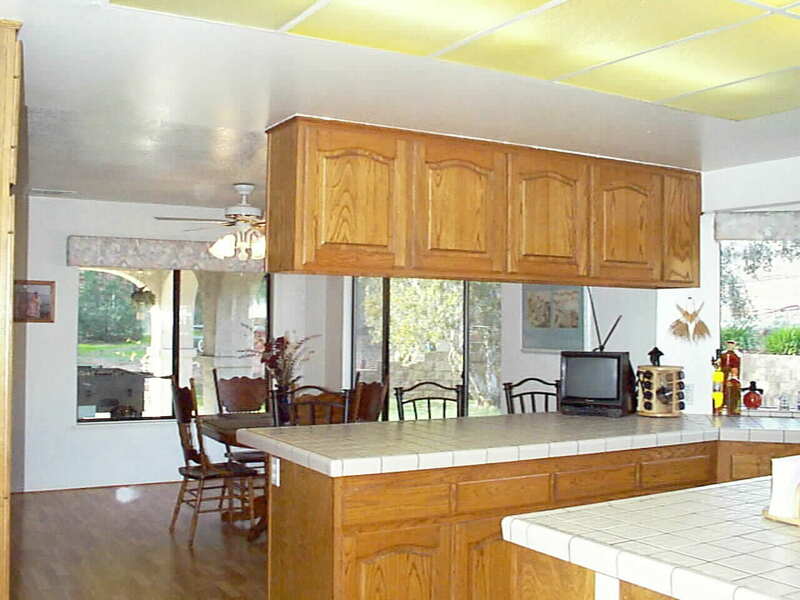 Off of the Casual Eating Space shown above is the "Extra" space. The tax roll square footage is 3,388'... not including this extra space... designated originally as a "Shop". The original buyer had in mind some day making this into a full "Guest Residence"... and it still could be. 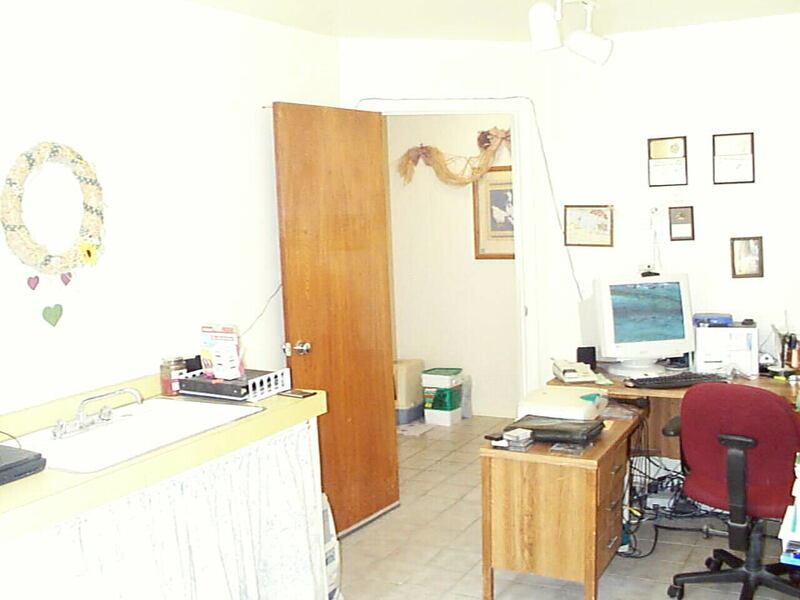 8'x16' "studio" room with sink is pictured above. 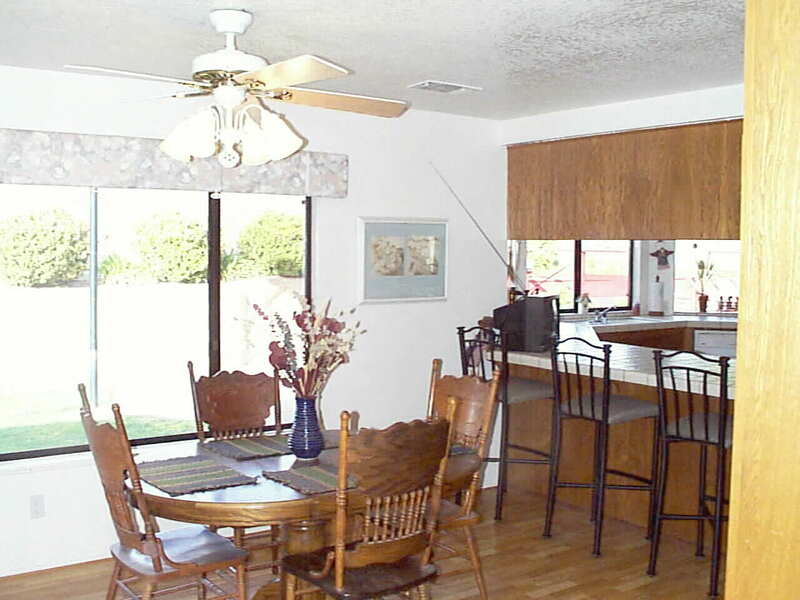 This "wing" has separate entry... laundry room... half bath... large pantry... mechanical room... and garage access. The re-allocation of the use of this space is easily apparent. Horses are allowed... and a link below will show the proximity of this parcel to the trail system. 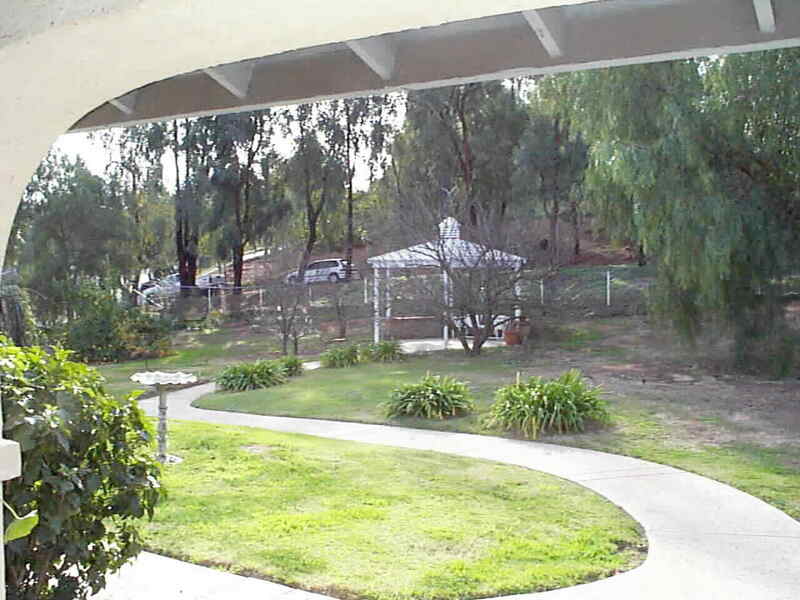 The park like West yard ... beautifully shaded by mature trees... features a full selection of Family Fruit... citrus... tasty apricots... and a shaded gazebo to escape to and forget the world. 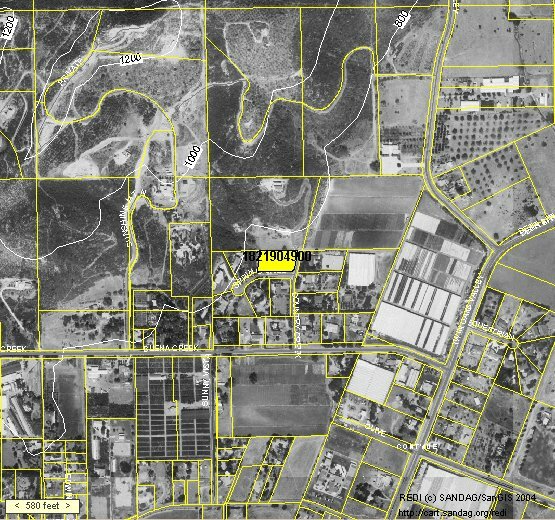 The photo on the right shows the parcel... highlighted in yellow... nicely tucked in North of Buena Creek and to the West of Twin Oaks... and is a link to a zoomed in photo showing the easy RV access on the East of the parcel. This is a beautifully developing area... we sold last year a residence two lots away for $1,150,876 so the upside potential is limitless... the real estate principle of progression at work for you. And coming soon to the Buena Creek/Twin Oaks area is the new home of Casa de Amparo that will replace some of the mixed use agriculture with the new pride of San Marcos. It will be beautiful! If you are considering the San Marcos Area... and have horses.. check out this link to the San Marcos Trail System ... Including 36 mile of multi-use riding trails.